Hampton Roads residents know that some of the beautiful older homes that dot our community, while charming and unique to own, can leave us wanting more for storage. That’s where we come in. Imagine having a guest room when you need it, with the freedom of a functional space the rest of the year? That’s the magic of a Murphy Wall-Bed. Our Murphy beds give you all the comfort and convenience of a guest room without sacrificing space. That means more room for you, your family, and the things that matter most. Murphy beds are designed to maximize limited space in situations where you need both a guest bedroom that can accommodate family or friends during the holidays or summers, plus a home office or living space for yourself during the rest of the year? 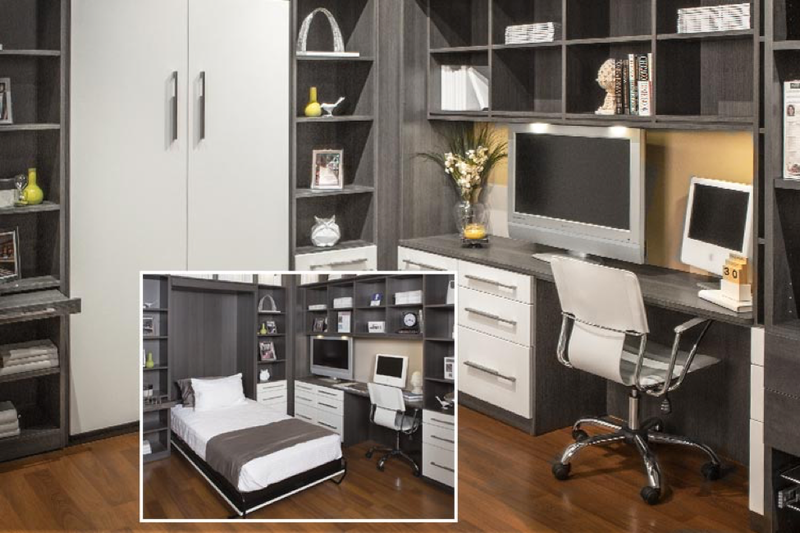 Both of these needs can be satisfied with a single room when a Murphy style wall bed is designed into the solution. Whether you are looking to get the most out of a small square footage apartment, or creating flexible space in a home, a wall bed can make all the difference between a space that works for you, versus one that is inconvenient and dysfunctional. Existing square footage will do double duty when the space turns into a bedroom within moments — simply and easily without struggling to unfold a sofa bed or blow up an air mattress. They work great in child’s bedroom to accommodate sleep-overs but fold neatly away to provide a bigger play area when not needed. Add one to a small studio apartment and you suddenly have an extra room. The possibilities are as endless as the custom configurations available. Forget the what you know about traditional Murphy beds. All Closet Concepts wall beds incorporate a European style slat wood support system, similar in function to a traditional box spring but with a smaller footprint, and are extremely comfortable and durable. You will get many years of good sleep from a Closet Works wall bed, even if used on a daily basis. For more information on our custom Murphy beds, contact our team. 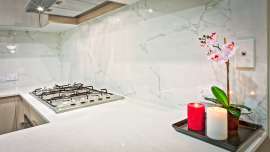 We’re excited to show you how we can transform your space!